Having started her legal career in both commercial and criminal litigation since joining the firm as a pupil upon graduation in 2007, Sheila has been involved in a broad spectrum of disputes and advisory work. She enjoys a practice particularly in commercial and financial disputes and investigations, fraud and asset recovery, as well as corporate restructuring and insolvency; and has deep experience and expertise in these areas. Sheila has recently been featured as one of a hundred female investigations specialists in Global Investigations Review’s Women in Investigations 2018. She was also recognised by Singapore Business Review in its 40 and under Most Influential Lawyers report in 2016. Sheila has advised and represented various international entities in the investigation and prosecution of cross-border claims involving commercial fraud and breaches of fiduciary duties, and the recovery of assets globally. She has also acted for major international banks and brokerages in investigations into regulatory, risk and compliance issues related to matters such as market manipulation, fixing of benchmark rates, layering and spoofing, and insider trading. Sheila has also been at the forefront of major insolvencies in the region, having acted and continuing to act for the liquidators of Dynamic Oil Trading (part of the O.W. Bunker Group), MF Global Singapore, and various Lehman Brothers Singapore entities. 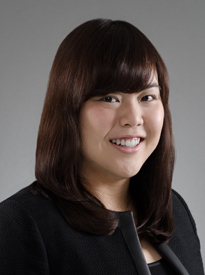 Sheila is also a contributing author to LexisNexis Practical Guidance: Singapore Employment. Advising and acting for the liquidators of Dynamic Oil Trading (Singapore), which is part of the O.W. Bunker group with entities spanning multiple jurisdictions, and which collapse had shaken up the global bunker and shipping industry. Advising and acting for the liquidators of MF Global Singapore, which is the most high-profile insolvency in the financial industry in Singapore since Lehman Brothers, in respect of a comprehensive range of securities, commodities and derivative trading, and liquidation-related matters, including a successful landmark application for the interim distribution of customer funds. Advising and acting for the liquidators of various Lehman Brothers entities across Asia. Advised and acted for a foreign government-linked company in the investigation of a fraud of about US$125 million perpetrated on the company. Advised and acted for a brokerage firm in the investigation of a cross-border fraud perpetrated on the brokerage firm and various investors, and prosecuting a claim in relation thereto. Defended a US$4 billion fraud and asset recovery claim brought before the Singapore Courts relating to the perpetration of an alleged fraud involving multiple jurisdictions including the U.S. and Hong Kong. Advised and acted for a major international bank in the conduct of investigations into fixing of benchmark rates. Advised and acted for various international financial institutions in the conduct of investigations and prosecution of cross-border claims involving commercial fraud, breaches of fiduciary duties, and the recovery of assets globally. Advised and acted for various brokerage firms in investigations into regulatory, risk and compliance issues related to matters such as market manipulation, layering and spoofing, and insider trading. Advised various individuals and corporate entities on regulatory matters, reporting and disclosure obligations, and the anti-money laundering regime in Singapore. Advised and acted for various foreign parties in relation to production and restraint orders under the Mutual Assistance in Criminal Matters Act and the Corruption, Drug Trafficking and other Serious Crimes (Confiscation of Benefits) Act. Advised and acted for various individuals (including officers of listed companies, and securities brokers) in relation to civil penalties imposed by the Monetary Authority of Singapore in respect of offences under the Securities and Futures Act. Advised and acted for various individuals (including officers of listed companies, and securities brokers) in respect of commercial offences, including offences relating to market-misconduct, insider trading, as well as disclosure-based and fraud-related offences (such as falsification of accounts). Advised and acted for a group of companies in the spa and training business (and their majority shareholders) in winding up / minority oppression proceedings, as well as related proceedings in respect of claims for breach of fiduciary duties, misrepresentation in respect of a sale and purchase agreement, and recovery of shareholders’ loans. Advised and acted for various multi-national corporations in employment-related matters, including the enforcement of restrictive covenants against former employees. Acting for a foreign government in defending claims of over US$3 billion in relation to an oil exploration service contract. Acting for a foreign government in defending claims of over US$180 million arising from a financial letter of undertaking in relation to a water concession agreement.